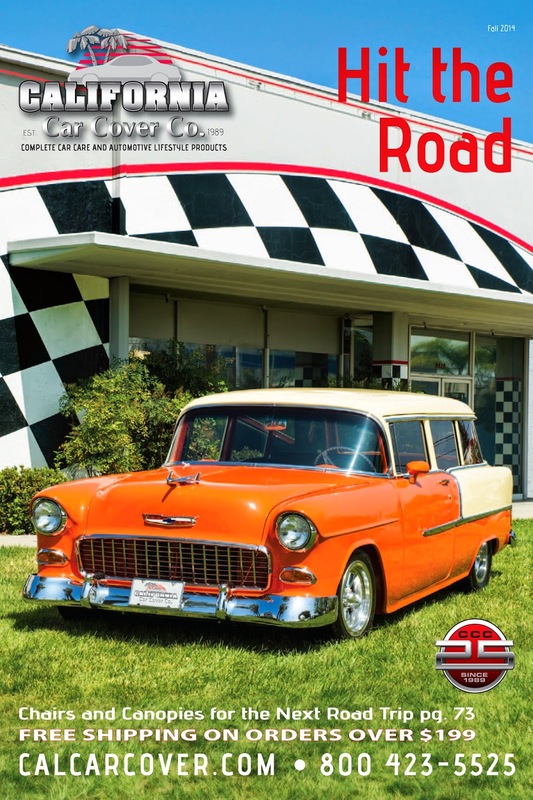 The August edition of our California Car Cover catalog featured a 1955 Chevy Station Wagon. From a distance, this Chevy wagon looks pretty standard, but when given a second look you will notice a few subtle changes. This Chevy is not a standard station wagon, but a 210 Handyman Wagon. 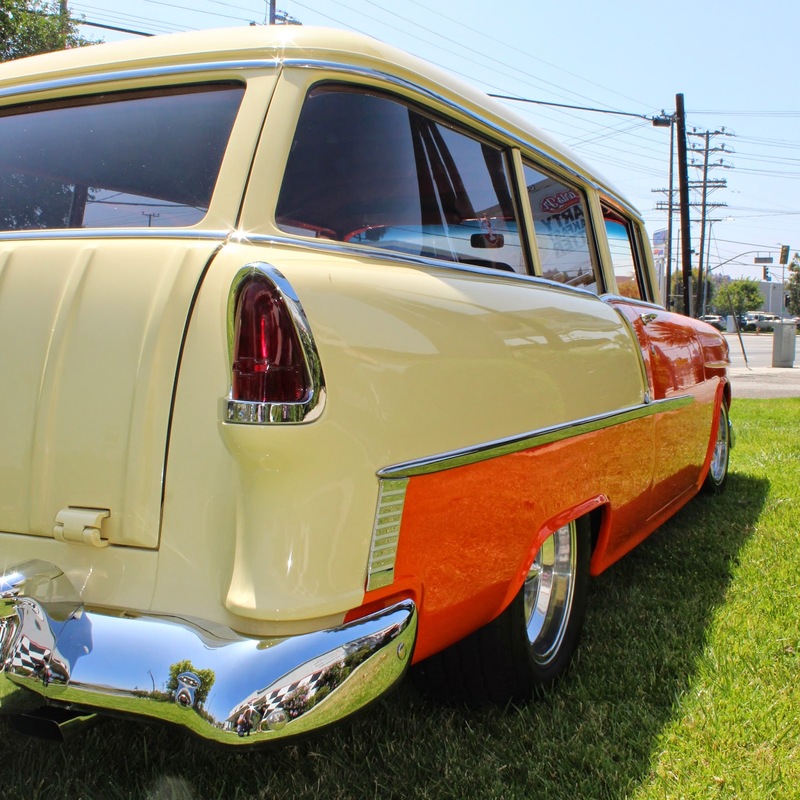 The owner, Phil Dolman, finished the wagon with 1955 Chevy passenger car trim and inserts. The wagon also received Chevy Nomad tail gate skin and a shaved gas door. The wagon has custom black and grey interior. Phil also replaced the stock front seats with Chevy Corvette bucket seats. Under the hood is a Chevy 350-385 Fastburn crate engine to give the wagon plenty of power. Here is a short video featuring the Chevy C-10 from our July catalog and the 1955 Chevy Handyman Wagon. Thank you to Phil for participating in our photo shoot. Check back later this month for more local event coverage, including photos from our 3rd Annual Hot Rod Cruise Night and Goodguys Pleasanton.